During the last years of the first century and the beginning few of the second, saw changes in the layout of the Roman placements in Britain. For some reason, after the death of Julius Agricola the legions gradually withdrew from Scotland. There were also two citizen colonies, consisting of discharged Roman soldiers based at Lincoln, the other at Gloucester. The reign of Domitian was firm, but fair. Not much is known of his reign, but what we do know is that he gained the respect of his army because of his military background and had increased their pay. But he was unstable and given to bouts of paranoia. He believed that everyone else, including the Roman senate was trying to depose him. This is particularly noticeable from 88 AD, until in 93 AD. this became uncontrollable. By 96 AD his wife was plotting with both Praetorian Prefects. He did not have to imagine this one, it was real and the subsequent assassination attempt succeeded. 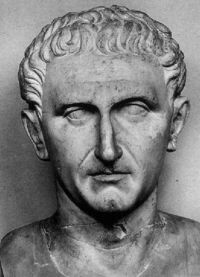 The senate now appointed senator Marcus Cocceius Nerva as Emperor. This marked the start of a period known as 'the five good Emperors' that ran from 96 AD. to 180 AD. This period is regarded as the time when the Roman Empire was at it's best. The method of choosing Emperors had changed, the old fashion of selecting those from the houses of Julius and Claudius had ended. There is no doubt the changing of the election methods had a hand in this. It became customary for the reigning Emperor to select his replacement before he left office, thereby enabling a handing over period between the two. Even so, the army was unnerved by the appointment of Nerva, as the previous Emperor had shown an empathy with his men, showing a military mind and had improved the pay of the soldiers. 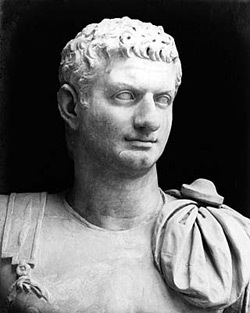 The senate bowed to pressure for the murderers of Domitian to be executed, which meant that Nerva had to announce quite early in his reign who his successor would be. To pacify the army, it had to be someone the soldiers would be ready to accept. The choice was Trajan, a welcome choice for the soldiers. He was able to bridge the gap between the army and the senate, which was good for both sides. Another way in which the changes had swung was to choose someone from a foreign land. Trajan was born in Spain, his father a Roman citizen and his mother Spanish. 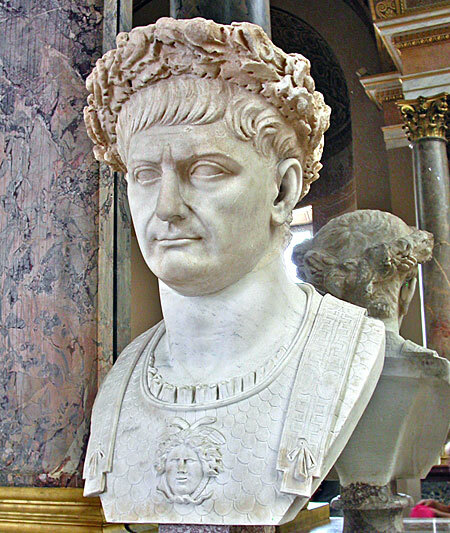 Vespasian was the first Emperor to come from outside the Julian/Claudian mould, but he was Italian. Trajan was the first Emperor to also be from outside Italy. In 98 AD. Trajan become Emperor. A new chapter in Roman history had begun. Looking at Britain by the end of the first century, we can see an island that had been invaded and for a while was a small province having only been occupied in a small South Eastern territory by the Romans. By the end of the century, Britain was all but conquered, just the West and North of Scotland remained in tribal hands. The once savage tribes had been turned into Romans. Roads were in Place, elaborate buildings had appeared. There was still more to come. During the period 70 to 130 AD., London in particular had grown in scale to the point where it was now a municipium. A governors house and a fort had been erected along with an amphiteatre. It is interesting to note that this last construction was not found until 1987. Fishbourne, near Chichester had a military establishment, which was demolished and replaced by a timber framed villa, which was later replaced by a stone villa. Around 80 AD., a palace was built. It is noticeable that the standard and size of this was well in advance of anything else in the country. This leads historians to believe that it was occupied by a senator, or even an emperor. Maybe it was used as an official building, on a par with the governor's palace in London. Vespasian had introduce two legal commissions to Britain about that time, Salvius Liberalis and Javolenus Priscus. Fishbourne is so far unique, or sui generis, which means that it was strictly a one off venture. The other findings of that time, lead us to believe that the Romans took on a program of centralisation of the natives. Britons had built many villages and settlements, scattered around their own tribal domains. The Romans tried to educate them in to the Roman way of life, which included larger towns were the inhabitants were much closer together. The leaders of the tribes, would be allowed to retain their country dwellings, or have larger houses in these towns. This would pacify them , so making them more agreeable to the Roman plans. 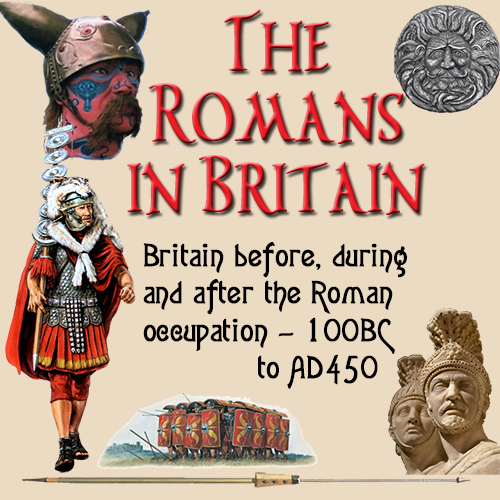 Owning a large area of life was a prime factor for the Roman upper classes, and so this was extended to the upper members of the British tribes. Outside the towns, the farms that required vast amounts of land by their very nature remained unchanged from their pre Roman days till now. 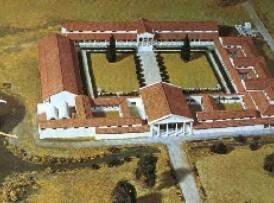 The grand buildings outside the towns were most certainly, rebuilt in the Roman fashion and standards. The last third of the first century and the start of the second were significant for the changes made on the British way of life. The conquest was to all intents and purposes complete, so now attention turned to changing the land into a true Roman province.